There have already been multiple cruise ship itinerary changes mainly impacting Carnival Cruise Line as it is the dominant cruise line sailing to the Caribbean. The Hurricane is far from over and is just about to hit the U.S. Gulf Coast, more specifically the Florida panhandle with the center near to Panama City. All the major cruise lines are keeping track of Hurricane Michael including Carnival Cruise Line, Royal Caribbean, and Norwegian Cruise Line. Those passengers on current sailings are being kept up to date onboard if their ship is affected. Cruise lines are sending texts alerts and emails to those booked on any upcoming impacted sailings. If any Cruise Hive readers are worried about their cruise, do get in touch with the cruise line for official updates and itinerary adjustments. 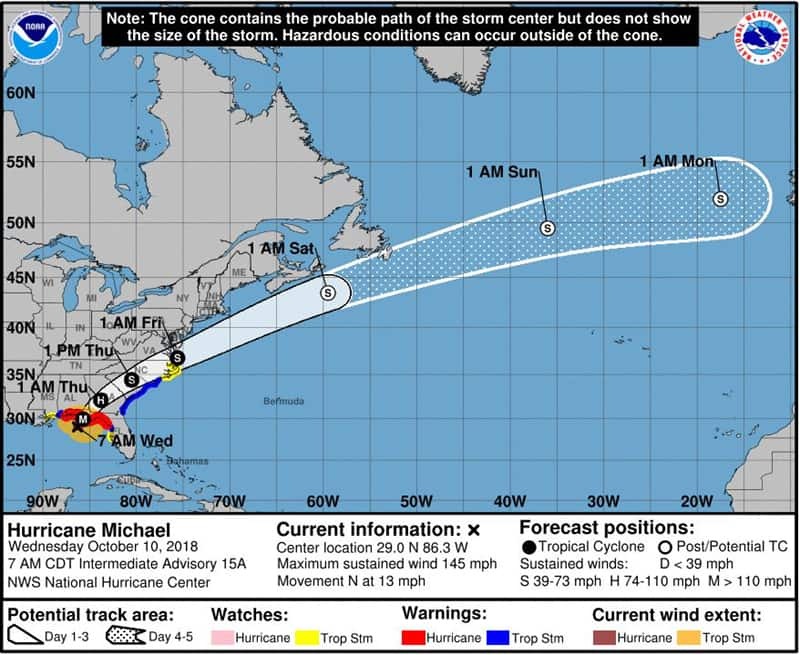 It’s also important to take note that cruise ports could still suffer from Hurricane Micahel. So far Port of Mobile in Alabama and Port of Tampa in Florida which are to nearest cruise ports are still open and impact should be limited. 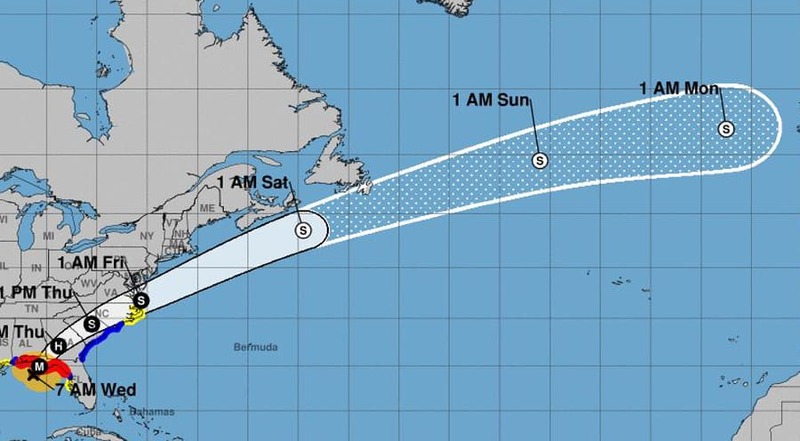 Hurricane Michael will move towards the U.S. east coast through South Carolina, North Carolina and then Georgia before heading back out to the Atlantic Ocean. The worry is that east coast sailings may be impacted, so we’re talking about ships from New York, and Boston are ones to watch. As of writing this Hurricane Michael is at a category four which is devastating power and a major threat to life. The storm will even stay as a weak Hurricane after it hits land so do expect extreme weather conditions. There are high winds, high swells, storm surge and heavy rainfall. According to the National Hurricane Center (NOAA), it has maximum sustained winds of 145 mph and moving north at 13 mph. By Thursday it will become a Tropical Storm but still a very dangerous to anyone in its path. In the early hours of Friday morning, Hurricane Michael will reach the west Atlantic and then head on out up along the northeast. Let’s not discuss after that, but those in the UK should be aware of where Michael will end up! We’ll keep posting updates on any developments impacting the cruise industry. Hurricane Michael continues to intensify as it moves north through the Gulf of Mexico straight for the Florida panhandle.